In its last few episodes, Durarara! !x2 is really just starting to feel like its coming to a slow, dead, stop. Any momentum or excitement that this story or series, or its characters had is just crumbling away, and things feel they’re almost deathly still. 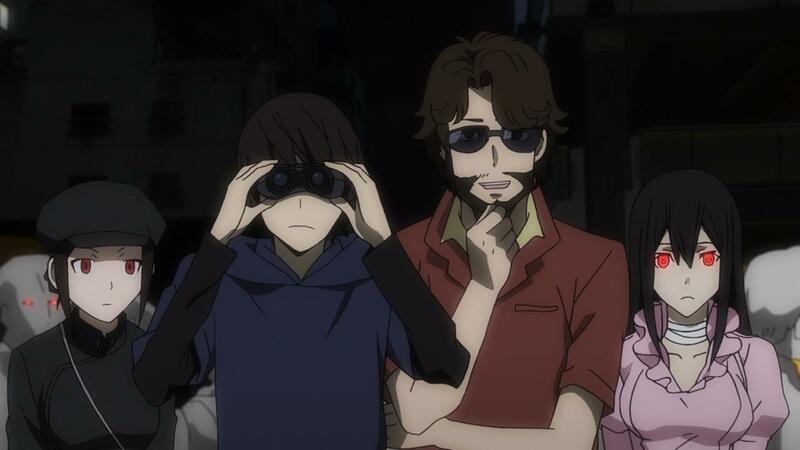 There’s an almost painful, quiet crawl towards whatever ending that this show is going for. And at the end of it all, I’m just not entirely sure how I felt about this week’s episode, other than the fact that it just left me a little empty inside. In the grand scheme of things, maybe that’s an improvement, because at least I’m feeling something from whatever this show is showing me, and at the very least, I don’t feel like a completely passive observer. The feelings I’m getting though, seem to echo loneliness, desolation and just generally a sense of finality that doesn’t seem like the sort of send off that these characters and this story deserve. 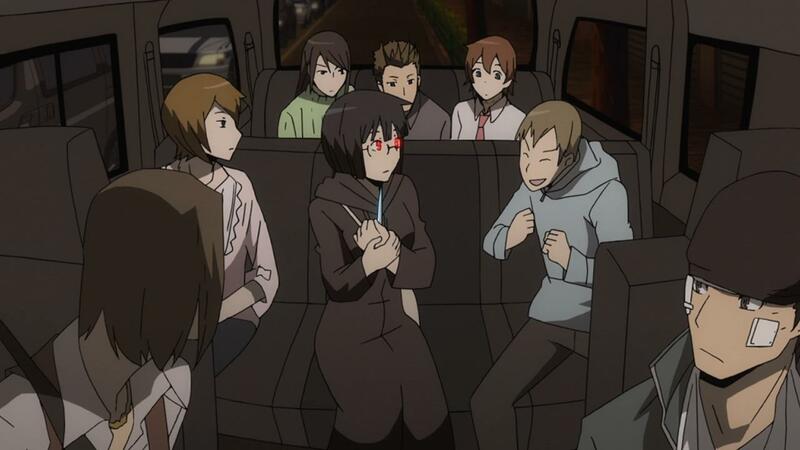 For all the life and color that Durarara! !’s first season had, for even the genuinely deep if somewhat troubled expansion that Durararara! 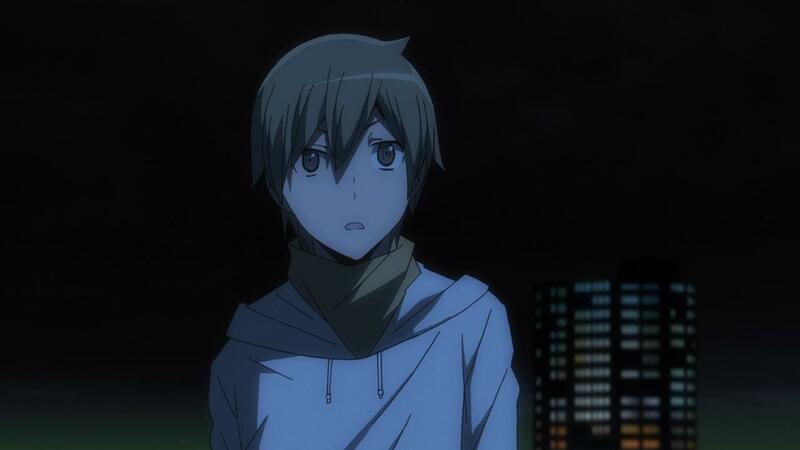 !x2 was, the fact that everything feels so lifeless and uneventful is kind of sad. We’re not at the point where I’d say that I’m disappointed by the direction Durarara! !x2 chose for its final moments, but the signs are definitely all there for that particular outcome. For one thing, we haven’t really gotten any traction on any of our major stories, and we’re two episodes away from the final cour’s conclusion. You’d think that the show would just double down and starting closing up plot threads by this point, especially because we’ve got quite a few of them left to see play out. There’s Celty and her transformation back into a proper Dullahan, and whatever that means for Shinra. 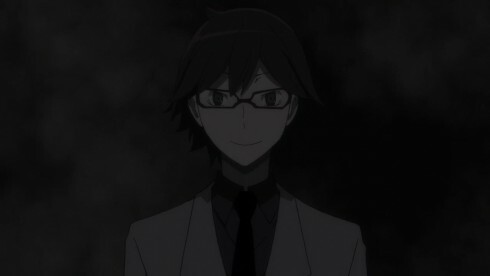 What is Shinra going to do? 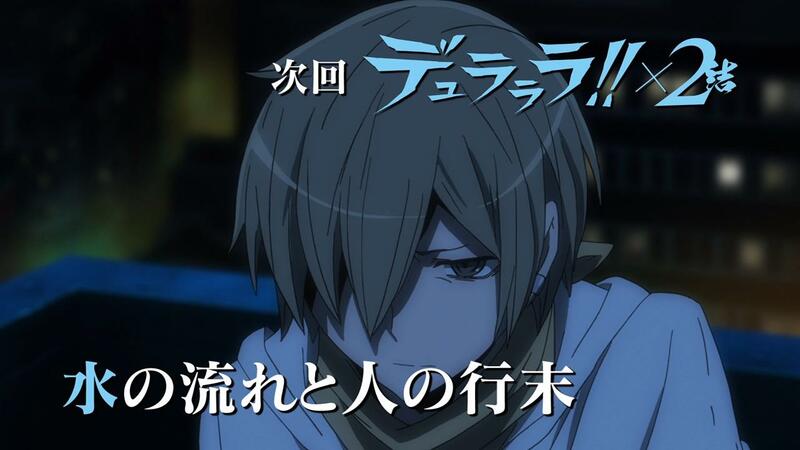 Is he going to just try and die by Celty’s hands? Is he going to try and revert her back to her old, headless form? 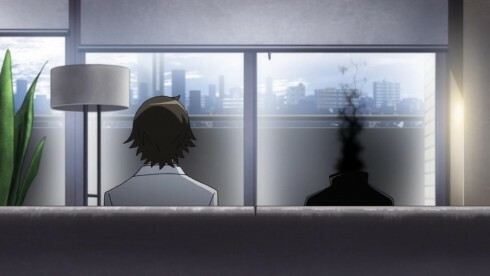 Its clear that Shinra is seeking to do something, but the best we get on that particular plot thread, is a scene with Shinra reminiscing about a talk he had with Celty, and then another one of him leaving his apartment. The whole Shinra storyline just continues to scream “its not time yet!” and yet the fact that we’re so deathly close to the end of this series has me worried. Then there’s Izaya and Shizou, who haven’t settled their fight to the death either. 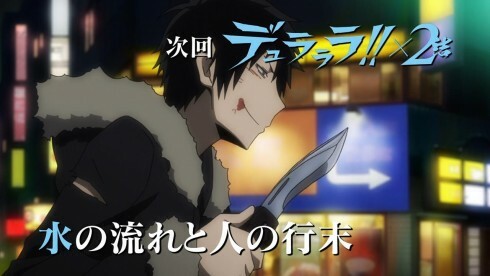 For whatever pieces of their little brawl that we’ve seen in the past few episodes, this week has nothing more than a scene of Izaya running away with Shizou hot on his heels. Again, there’s that sense of “its not time yet!”, but beyond just the ticking clock, there’s the issue of a lack of context. We’ve still not been told what the nature of Izaya and Shizou’s battle really is, and why the two guys hate each other so much. 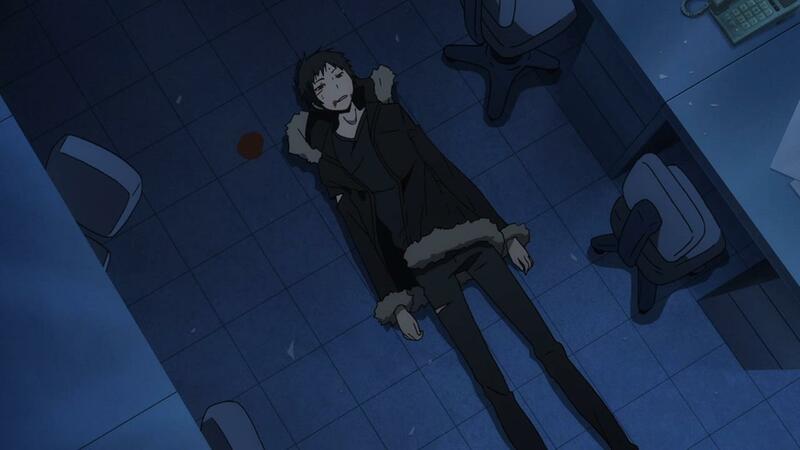 Izaya and Shizou are two of the most important characters in the entire franchise, and to have their fight conclude without a proper look into WHY, would be blasphemous on top of being utterly disappointing. After that we have Anri and the whole Saika mess. The Saika zombie outbreak is what’s keeping everyone else on the show occupied while some of our more headliner characters get through their particular stories. 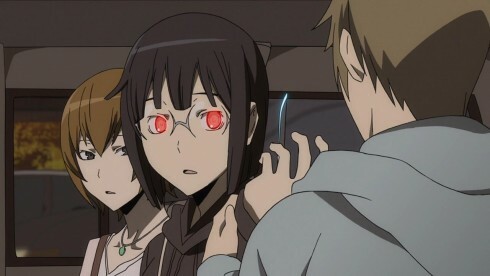 I think if there’s one particular plot thread that gets some kind of resolution, its Anri’s whole: “Buuuut I’m a Monster!” whinefest. I can’t say I found anything we got here particularly endearing, if only because we’ve heard it enough times to warrant a trip to the nearest asylum. Yes, its nice that Kadota and the rest accept Anri for who she is, and its clever that they use Celty as an example of what “human” really is, but do we really need the obvious spelled out for us? 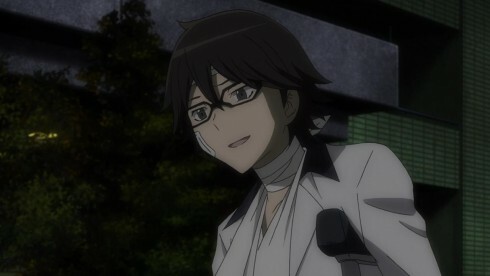 As for the actual zombies and “Nasujima-sensei”, man is that storyline seriously stupid. 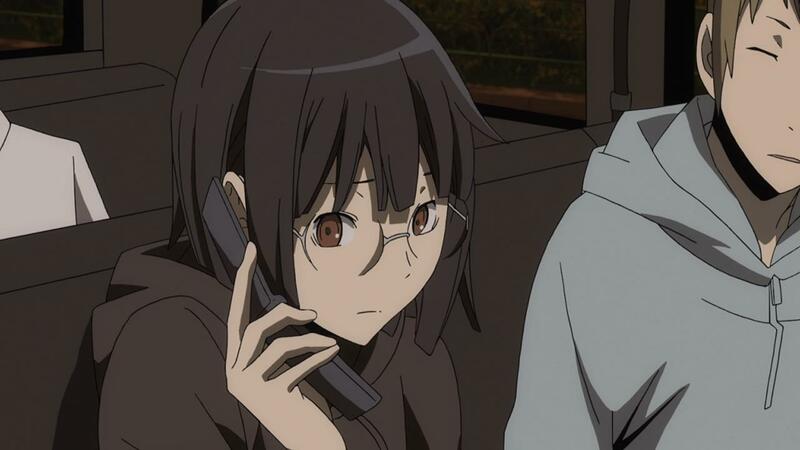 Look I get that there needs to be some big, city wide crisis, and I get that the Saika children are a nice device to get it to happen, but can the show really afford to have Nasujima’s motivations for the whole thing be so darn paper-thin. 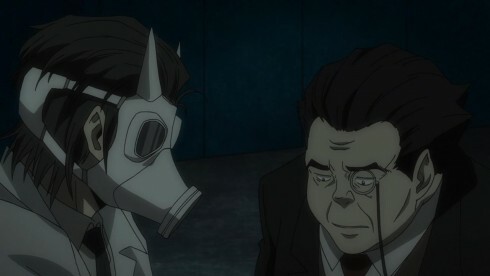 I mean, the reason he wants to cause havock, is so he can capture Mikado and Kujuragi, so he can capture Yodogiri Jinnai. And why does he want Jinnai? 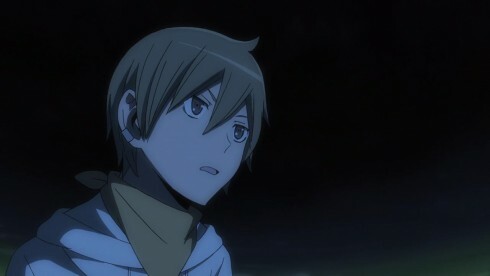 Well because he seems to be the sort of entity that can’t be taken over by Saika! 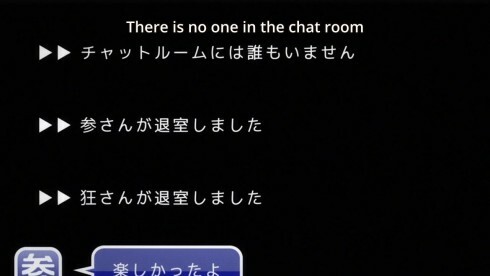 But uhhh… Yodogiri Jinnai doesn’t exist right? That’s the so called irony of the situation. Nasujima just wants to control everyone through Saika, and he’s removing what he perceives to be obstacles, but he’s just too little of a dude, and too small of a player to know all the cards. He’s the little obstacle that’s in place for Anri and the rest of the cast to overcome while the other plotlines resolve. Speaking of which, there’s the last plotline of the bunch, Kida and Mikado. This was where the show really did give off that feeling of “dead inside”. There was no fanfare, no emotion in this reunion. 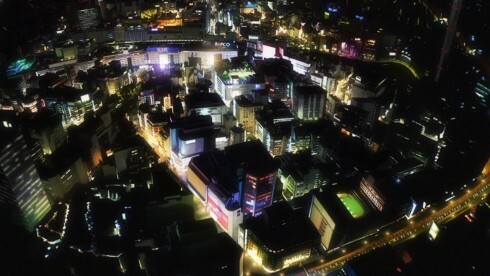 There was no big moment. 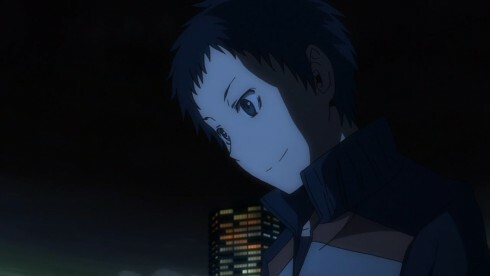 It was just a creepy looking Mikado slowly skulking towards Kida, and its obvious that he’s not got the best of intentions. 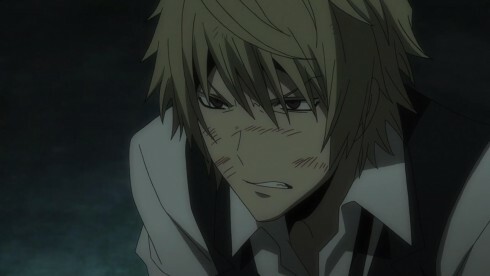 Kida’s playing the wounded, concerned friend that has no idea what his so called friend has in store for him, and Mikado’s obviously not meeting up Kida in order to fix everything. 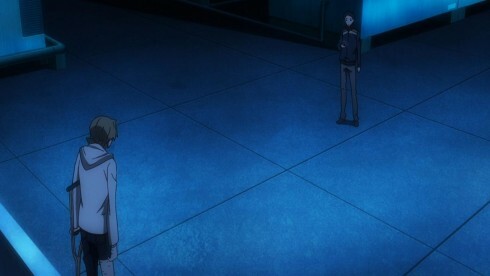 Is Mikado going to to shoot Kida? That’s what the show seems to be leading towards. 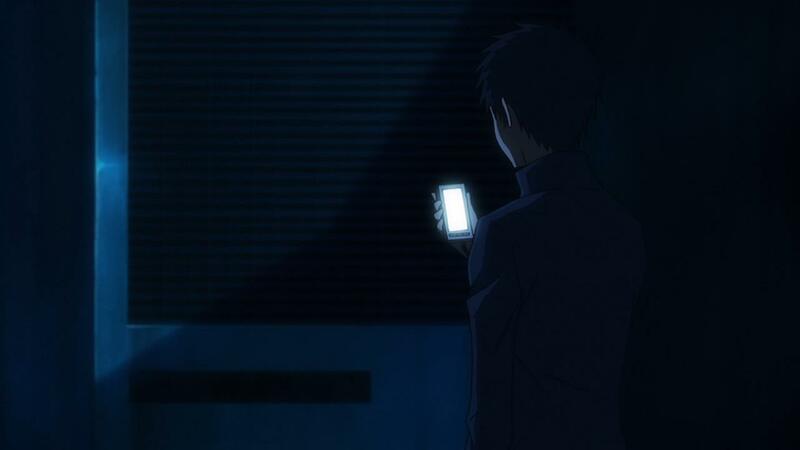 There’s a real sense of unease as we see these two old friends interact, as we see their loved ones trying to contact them, in vain. 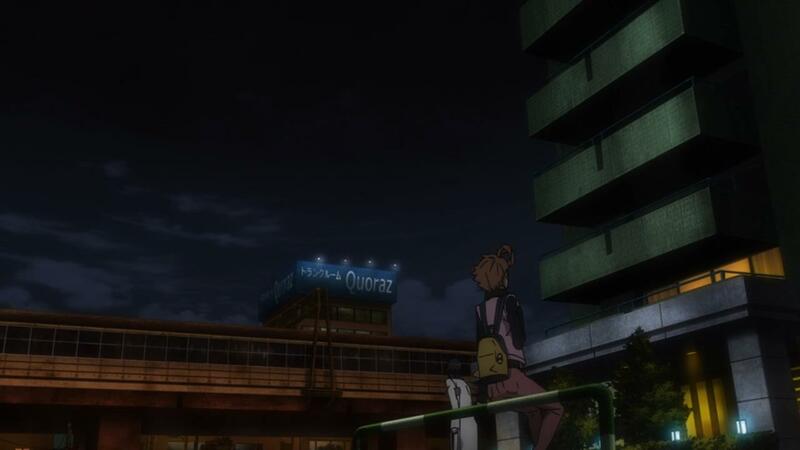 Its just Kida and Mikado, alone on that rooftop, and it all seems to leading towards disaster. 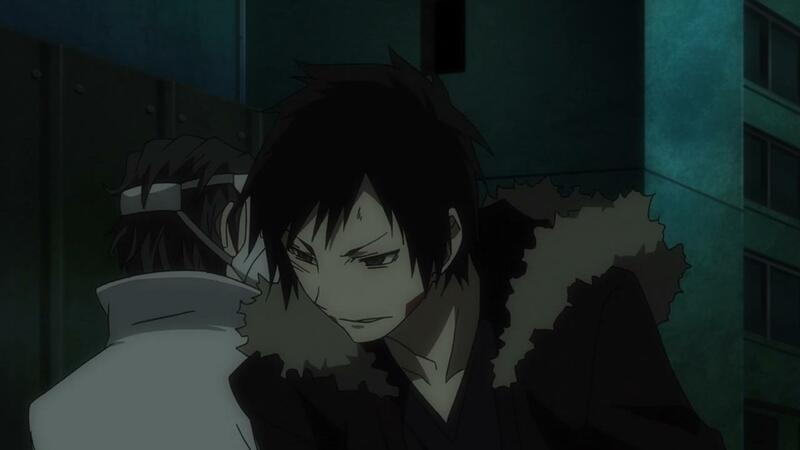 Mikado seems like he’s past the point of no return, from a mental health stand point, and Kida looks like he’s slowly dying himself, if only because he’s slowly seeing the friend that saved him become the villain. And here’s the thing, if Mikado does try to injure or kill Kida, then he’s past the point of redemption. That’s a terrible way to resolve Mikado’s character arc, because the end result isn’t so much a tragedy as it is an incoherent mess. Despite how hard the story and show have tried to explain Mikado’s weird change in behavior, it still hasn’t given him an adequate reason to want to end his own friend, or his friendship with Anri and Kida. Yet, the show almost seems to think its setting up some beautiful tragedy. 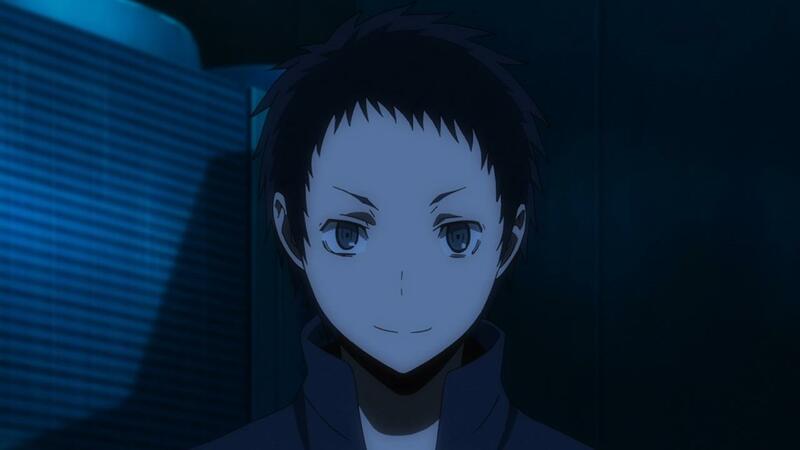 As Kida tries to joke his way back to some sense of normalcy, Mikado quietly, almost indifferently, lets it be known that he’s the founder of the Dollars. What exactly is this meeting of the Dollars that Mikado is holding with just Kida ontop off a dark rooftop? Well, we’ll have to wait till next week. If it is indeed next week. We could end up just having our stories continue to crawl towards some kind of conclusion even, with the last week finally just ending everything, at a point where its past the point of anyone caring about it all. 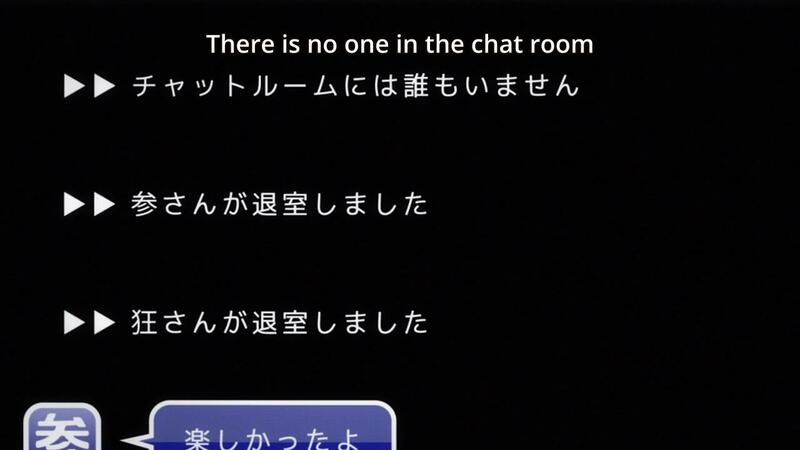 The show does seem to be winding down, and there’s a sense of finality in this episode, especially as things like the chatroom say their good byes. But I think the problem I have with this episode, and the direction in general that the show is leaning towards, is that it all feels so empty. 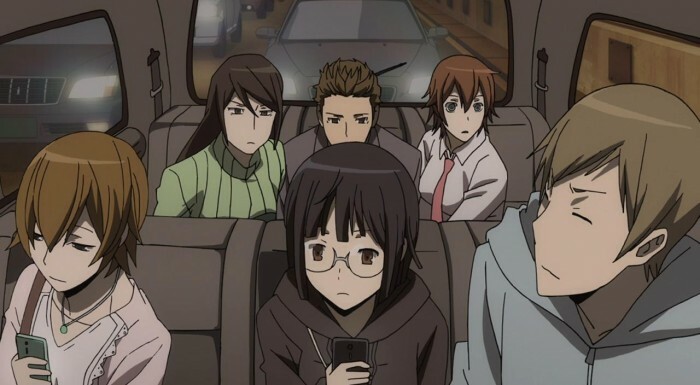 There’s no sense of excitement, no buildup, no payoff to watching these characters for almost 60 episodes (24 of the first season, and 36 of this second season). At this point, I guess all that we remaining fans of this franchise can do, is quietly sit by and see the fire truly and completely burn out from this story. That really is a sad way to go, especially for a story and franchise that I would’ve once called the bastion of this industry and this medium. Also as an Important note, I will most likely not be covering the penultimate episode of Durarara! !x2 next week, if only because I’ll be overseas, traveling and be nowhere near a computer. If I do get a chance to watch this show and review it, I will. Otherwise, I’ll just do a double episode review two weeks from now. Even the preview (via Kida’s voice) is throwing around phrase like: “If you don’t like this kind of story then leave.” Wow, not sure what I can make of that. See you in a week, or possibly two (read above).